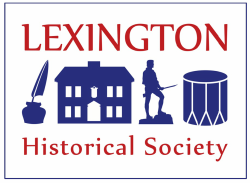 Ghosts and Graves of Lexington, Saturday, October 28 at 6:00pm, Lexington Depot. Candlelit tour of the Old Burying Ground and Buckman Tavern. Departure from the Lexington Depot. Our Colonial ancestors will tell tales of what brought them to the grave. Members: $8 adults/$5 children; Non-members: $10 adults/$6 children. Advance tickets available online through Friday, October 27 www.lexingtonhistory.org or – if available - at the door.